The first time I heard of Union Square Cafe was when I purchased their first cookbook back in the ealy 90’s. Every recipe I’ve cooked from it has been a delight! When John took me to New York for the first time in 2001 we went to the actual restaurant with his sister Martha and had a spectacular time – it was truly an enchanted evening. canned wouldn’t make a huge difference here and would save a lot of time – just add them towards the end with the olives. Bring to boil, lower flame then simmer covered until potatoes are cooked. Simmer uncovered about 5 minutes to reduce the broth. Serve hot or at room temp. i have been remiss lately and not told you how much i love your blog and recipes, i may be too busy to comment, but never to busy to peek in and smile at all your great stuff! Sister – You show your “love” every day when I see clicks to my site from yours. I don’t say thank you often enough either – but do know I check in pretty much every day at your gorgeous photo scapes! But not for me in that heat – OUCH! 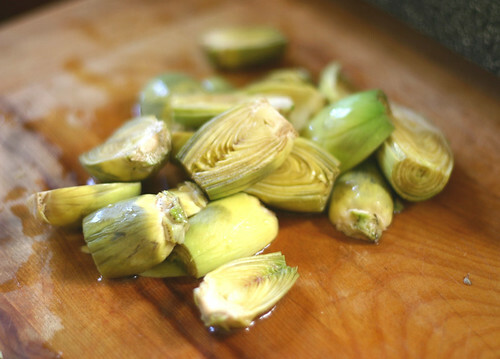 I just found out that I am getting artichokes in my CSA box this week and this looks like the perfect way to highlight them. Thanks for the recipe! Gah, this looks great. I may have to try this while there’s still mint and basil in the garden. Thanks for the tip on that cookbook, too. That looks really good! 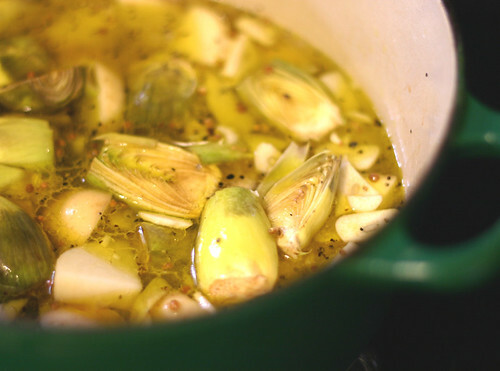 Great use of artichokes! I agree with Kevin- when I think of artichokes, they automatically come to mind either served whole or in a cheesy, spinachy dip. This looks like a refreshing alternative. So colorful, too! Thanks for sharing. Looks wonderful. 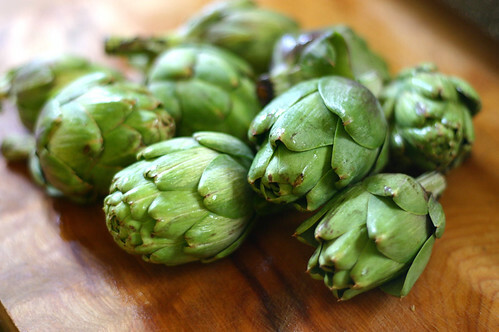 I love artichokes. You use such great ingredients! 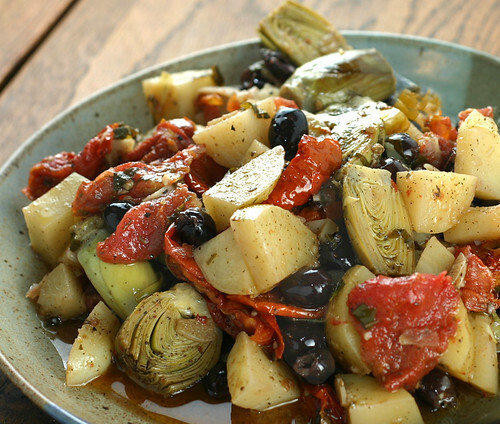 That sounds delicious, I love artichokes in rustic salads like these. This is a really interesting recipe – it would make a great side dish! both me and my husband are huge fans of artichoke! this kinda dish is so ours! That looks amazing. I love everything about this dish (it has everything I love)! amazing taste.i loved to cook with olive oil and otg! Nice shot that makes me want to reach out and eat this…moist colorful. Will have to try and make it. Great Job! WOW – that’s a HUGE compliment coming from you! Thank YOU! and thank YOU for coming back and letting me know!